After many, many years of wishing there were more Linux utilities within Windows (native SSH anyone? ), Microsoft have finally developed what they call their “Windows subsystem for Linux” – what many are referring to as the equivalent of Wine for Linux. Utilising this subsystem, Microsoft have worked with Canonical to provide a bare-bones Ubuntu environment accessible through Bash. 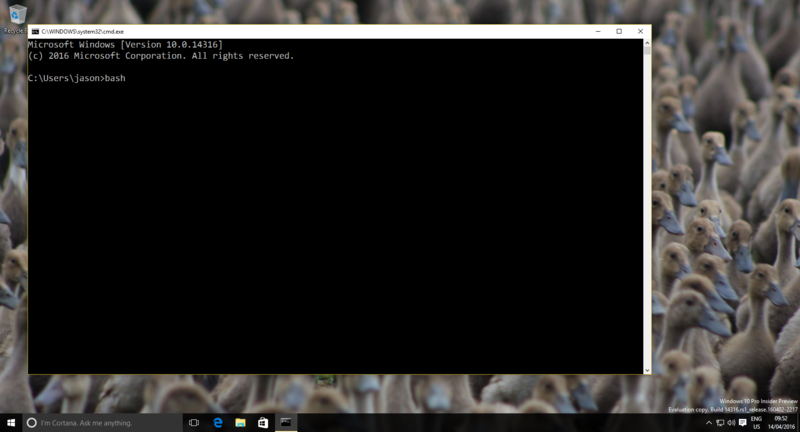 They call it “Bash on Ubuntu on Windows” and it absolutely rolls off the tongue. Although tools like Cygwin have been around far longer than I’ve worked in IT, they don’t offer the integration Bash on Ubuntu on Windows (henceforth referred to as Bash) aims to provide; one of those primary integrations being the capability for direct access to and manipulation of files and folders on the Windows partition. Similarly, as this basic Ubuntu image is installed into a directory as any other program would be, it’s just as easy to manipulate files and folders within the directories there, too. NB: The error which showed up towards the end meant there was no Start entry for Bash (it’s a preview, so I guess these things happen) but running Bash from the command line will launch it in the same way regardless. Should you not be able (or wish) to view the video, the steps to enable Bash are documented below. 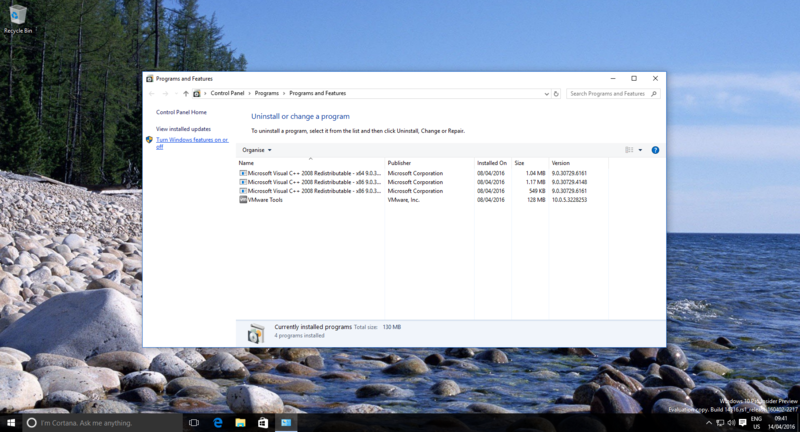 1 – Right click on the Start icon and select Programs and Features. 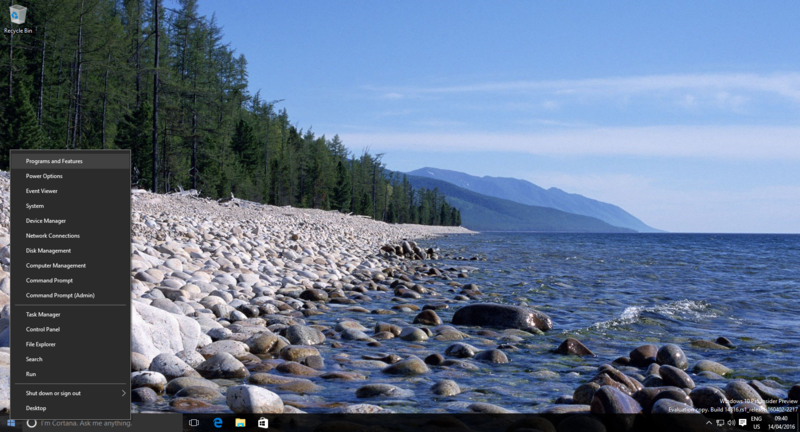 2 – Click Turn Windows features on or off. 3 – Scroll down to the new Windows subsystem for Linux and tick it, click OK.
4 – Wait for it to apply and reboot when prompted. 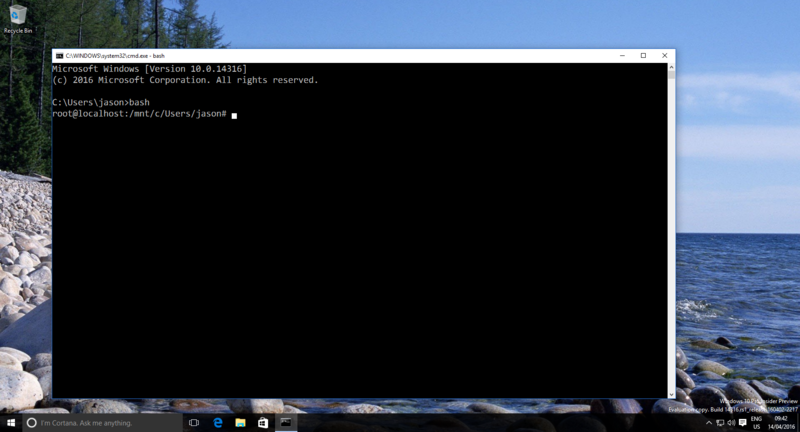 5 – Once the reboot is complete, login and open the command prompt. Type bash and hit Enter. 6 – Type y to confirm you’re happy to proceed. 7 – When complete it’ll pop you straight into bash. Following this, you can access bash either by typing “bash” in the command prompt, or opening the new “Bash on Ubuntu on Windows” app in your apps list (providing the installation doesn’t error like mine did!). 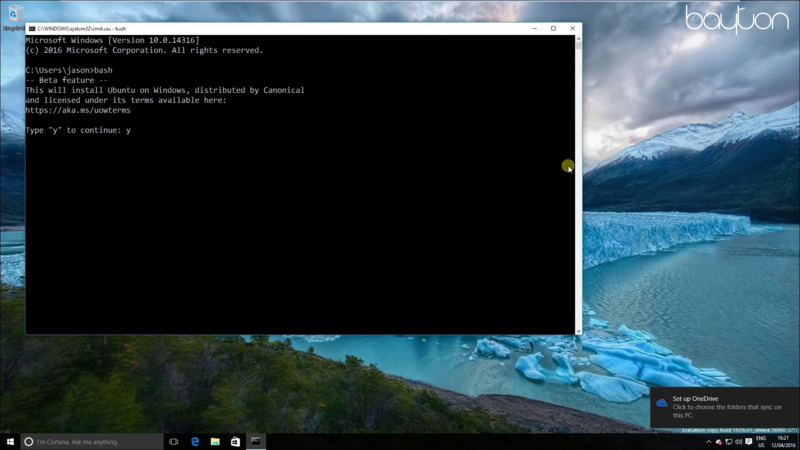 Are you excited for Bash on Windows 10? Have you already enabled it? Did you enjoy the video? Would you like to see more in the future? Leave me a comment or tweet me @jasonbayton with your thoughts. Noticed an error above? Let me know in the comments, tweet or email me.